Ever since the launch of the Redmi 6 lineup earlier in this month, rumors and leaks related to the Redmi Note 6 Pro have been swarming forums and social media sites. While we had only seen assembly line photos or leaked online listing to date, an unboxing video has bared it all about the device even before its official launch. 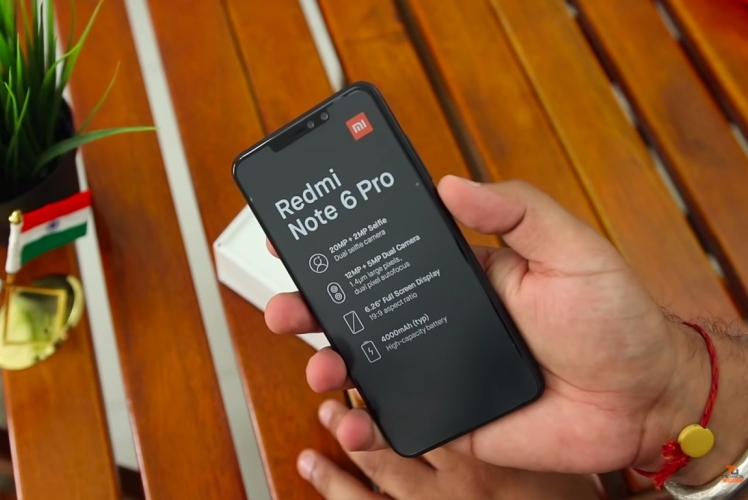 We have our first look at the Redmi Note 6 Pro from popular Indian tech YouTuber, Technical Guruji (a.k.a Gaurav Chaudhary), who appears to have got his hands on this device. Chaudhary runs us through a detailed unboxing and setup process, giving us a look at everything about the device prior to its launch. The Redmi Note 6 Pro will be a successor to the best-selling Redmi Note 5 lineup, which managed to cross 5 million in sales in under 4 months. As per the video, the device will feature a massive 6.26-inch Full-HD+ display, with a wide notch up-top and a 19:9 aspect ratio. It’s powered by the Snapdragon 636 chipset, which is the same as its predecessor. There’s 3GB of RAM and 32GB of storage on board, which sounds disappointing as it is supposed to be an upgrade over the Redmi Note 5 Pro. The key difference between Redmi Note 6 Pro and Note 5 Pro, apart from the notch, will have to be in the optics department. The latter now adds two cameras on the front too. The Redmi Note 6 Pro brings along a 12MP+5MP and 20MP+2MP dual-camera module on the back and front respectively. Well, I guess we know almost everything about the Redmi Note 6 Pro now except for its release date and pricing details. There’s also no mention of an India launch just yet, but Xiaomi will certainly bring it to India soon enough.